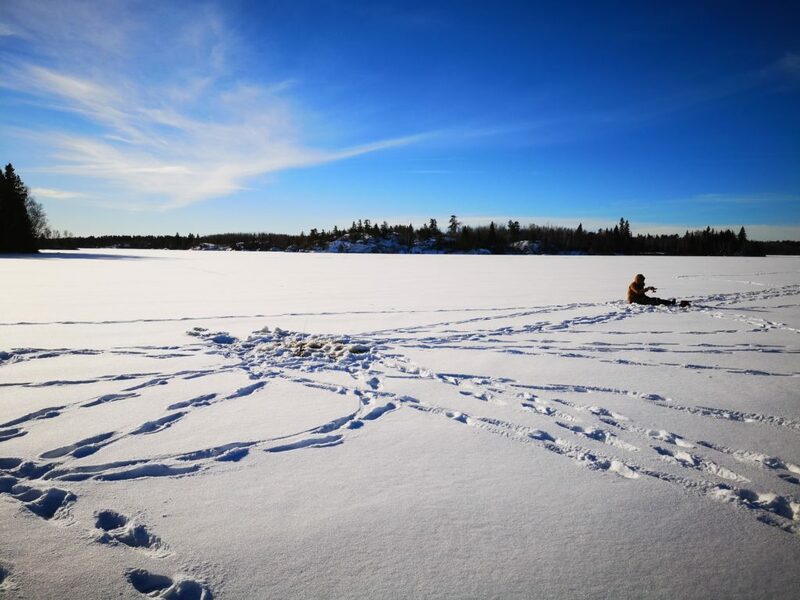 This week I had the opportunity to go ice fishing on Brereton Lake with Dave, Evan, and Ben. While I’ve obviously known Dave for awhile, this would be my first time meeting either Ben or Evan. We would be targeting crappie in particular, although I know from experience that there are also walleye and pike. I was looking forward to using my new auger and shelter and had high hopes for the day. 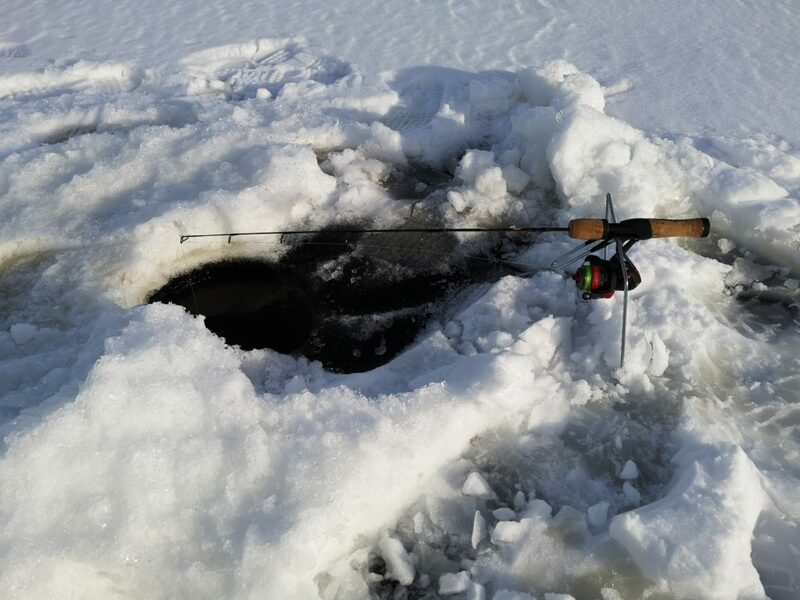 I’ve been looking forward to this ice fishing season for awhile now, even before the invite to Brereton Lake. This year I have my own shelter which was given to me by the old man, and I’ve been dying to take it out. Recently I went and purchased a new auger and heater as well, so that I have the complete setup. More specifically to this trip, I was excited to target crappie. Crappie is a fish that I have not caught yet, either summer or winter. 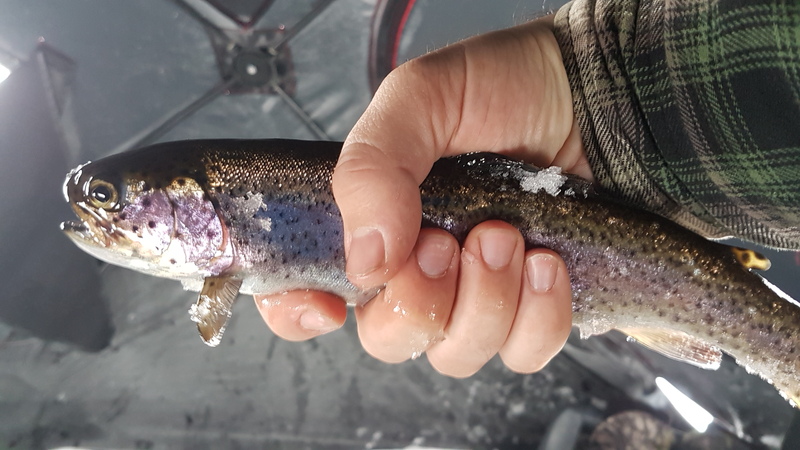 On the ice I have yet to catch anything beyond walleye and sauger. Catching some crappie would certainly be fun! 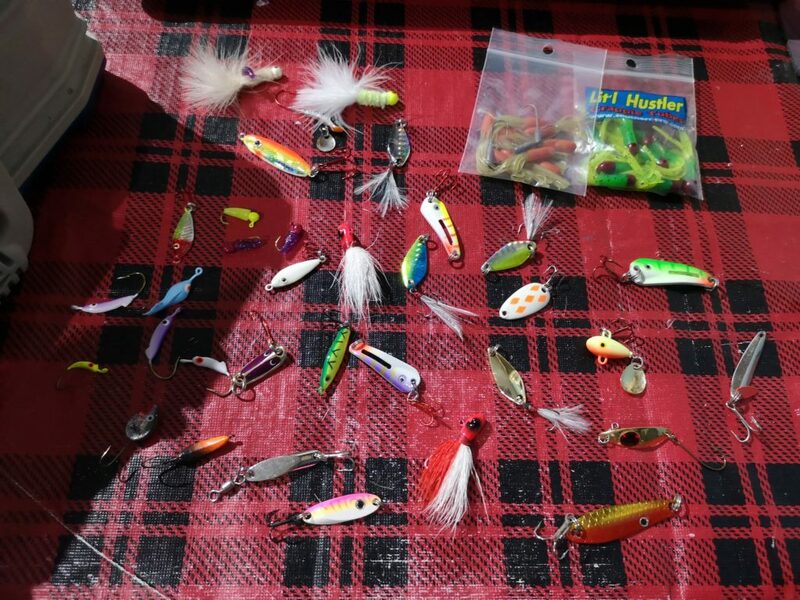 I went and purchased a variety of small lures in preparation for the new challenge. 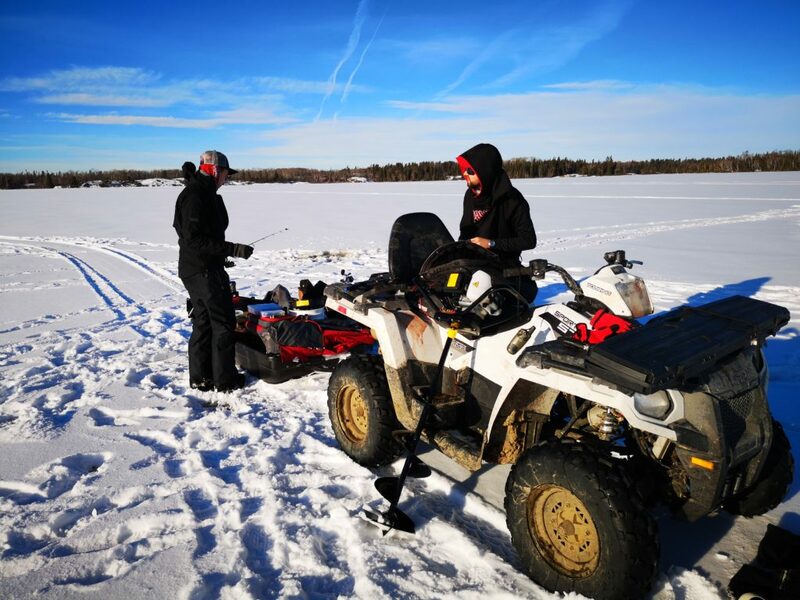 We were not sure of the ice conditions on the lake, so rather than risk driving my truck on, I brought the quad. It took a little bit of work, but I managed to attach the sled of my shelter securely to the hitch. This allowed us to easily load up all the gear, and people, and pull it around with the quad. Covering a large area became very quick and easy. 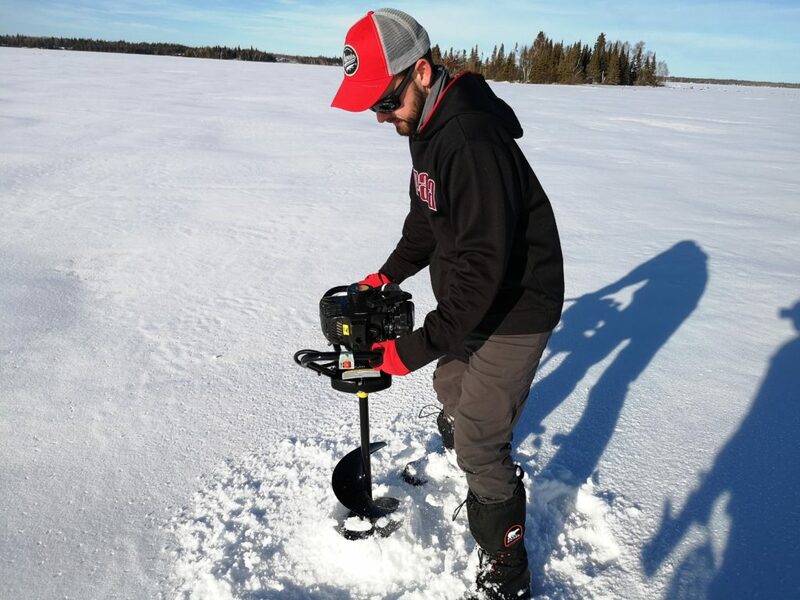 After meeting up at the Brereton Lake boat launch, we set out to some promising looking areas and started punching holes. The first thing we noticed was that there was no need to worry about the ice. We had a solid 14.5 inches of clear, smooth, beautifully solid ice under our feet. It was a great first workout for my new auger. Our plan of attack was simple. Since none of us really knew the lake all that well, or the habits of it’s fish, we decided our best course of action would be to use a “run and gun” style. Run and gun means that you never stay in one place for too long if the fish aren’t biting. The idea is to cover a lot of area and a lot of water until you hit on that sweet spot. Our goal was to start by finding some deep points and then work a variety of lures from there. The first spot we parked was in front of a tall cliff face. Usually the shore can tell you a lot about the water around it and what sort of bottom you might find. In the case of a cliff, usually it extends down below the surface for some way and you can often find deeper holes in front of them. Not so in this case. 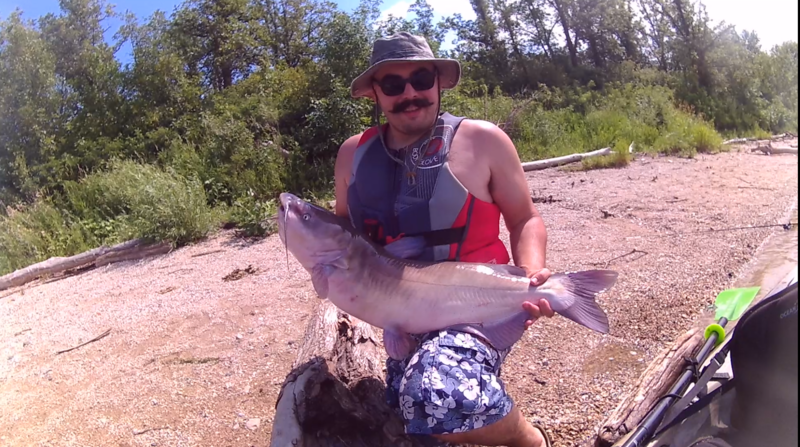 We punched 8-10 holes and found a max of 8 feet of water, and no fish. Not a great start. For the rest of the day, we drilled holes, lot’s and lot’s of holes. Every spot that we tried, we drilled between 10-16 holes in a grid pattern. We also stopped in several spots and drilled a hole every 20 yards or so in a line, checking depths as we went. 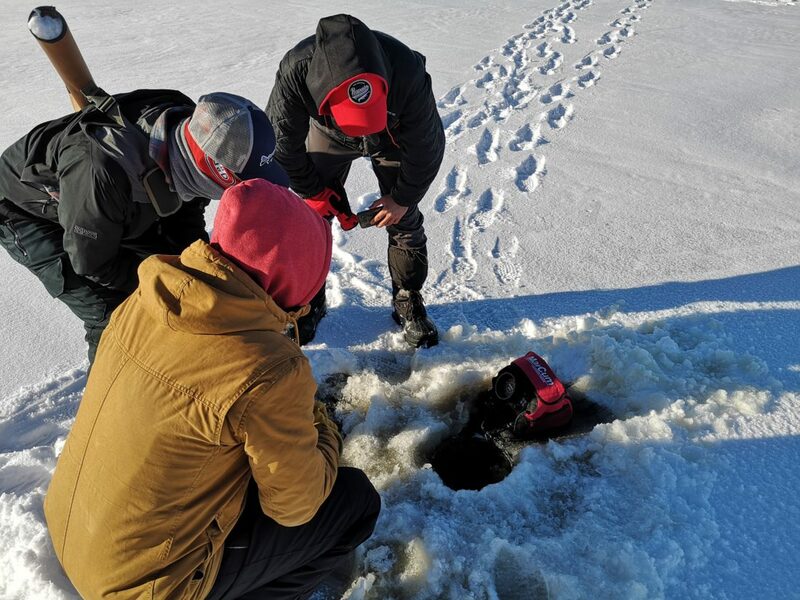 This was to try and find the deeper parts of the lake that we figured fish would be holed up in for the winter. As it turns out, Brereton Lake is shallow, and flat. Really flat. Despite our best efforts and the huge area we ended up covering with holes, we never managed to find water deeper than about 14 feet. 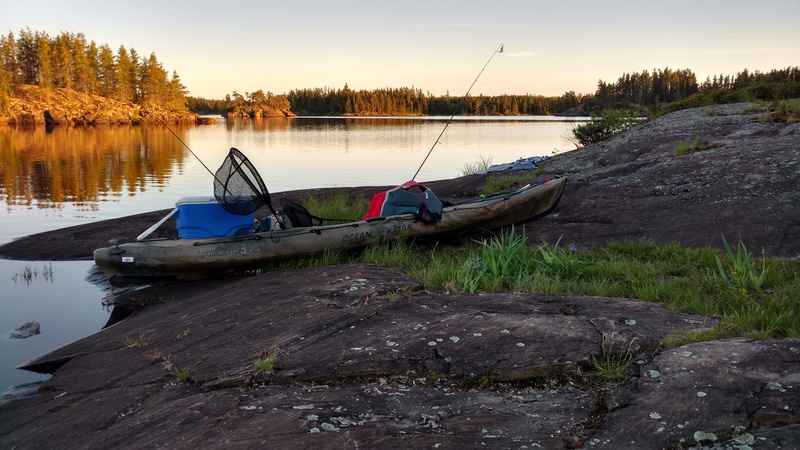 Aside from 1 small walleye in the early morning by Evan, we didn’t manage to find a single other fish. We sure did drill a lot of holes though! All in all, it was a beautiful day to be outside. The sun was shining and the temperature stayed in the positive all day. I got to meet some new friends, and I got to give my new auger a good break-in. Much like last year’s winter trip to a lake, I was once again humbled by this crazy sport that I love.